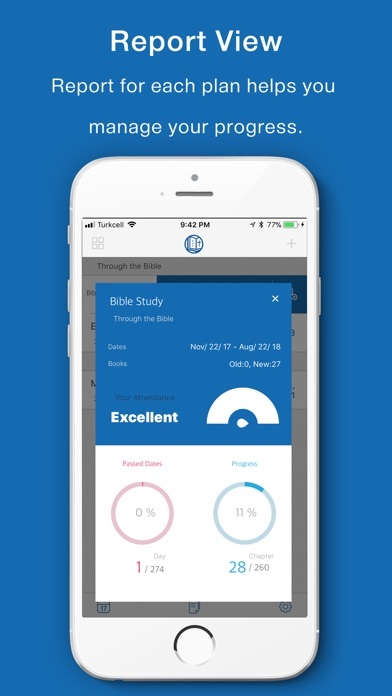 Check Bible is the bible reading planner that help you track your progress as you read through the Bible. 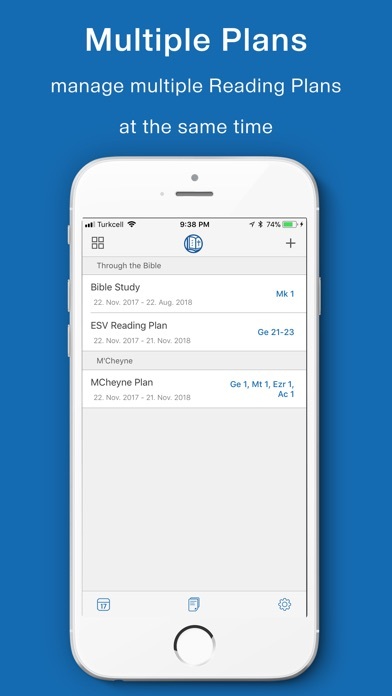 Just make a new reading plan and check the chapter you read at the bible check list. 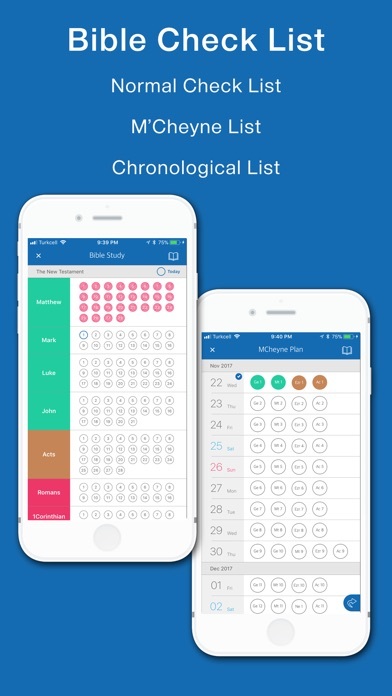 Check Bible shows today’s verse everyday by calculating the amount of chapters and time. 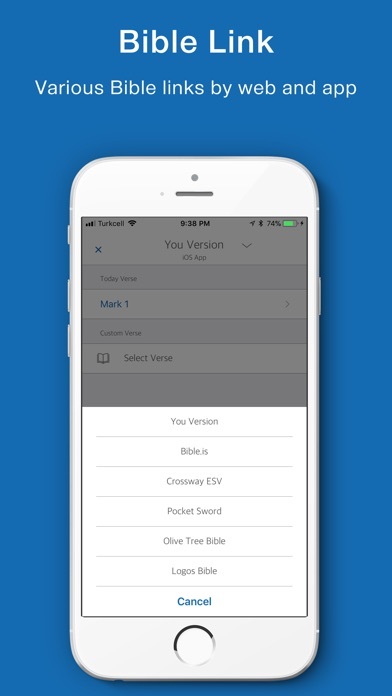 And you can optionally link to a bible website or launch a iOS bible app to see the verse you want. In the report view, you can confirm your progress rate and remain chapters and days. - Report View shows progress rate and current status ( passed dates and read chapters). 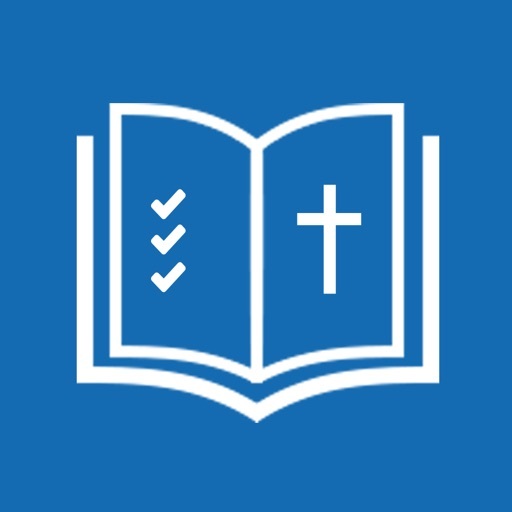 - 3 type bible check lists : Normal bible check list, M’Cheyne check list, Chronological check list. ** ‘Check Bible’ doesn’t include bible texts . 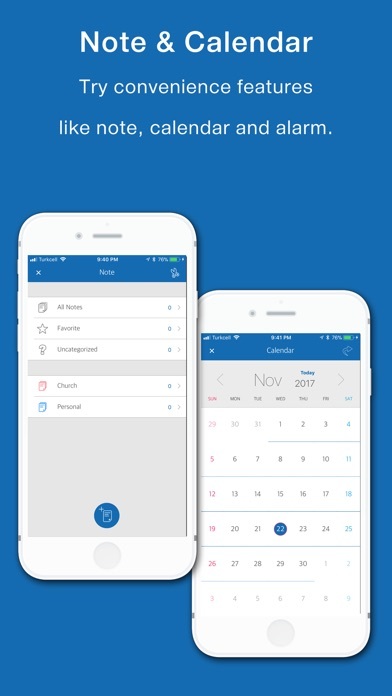 - Note management by category. - Sharing your note with Facebook or another App.